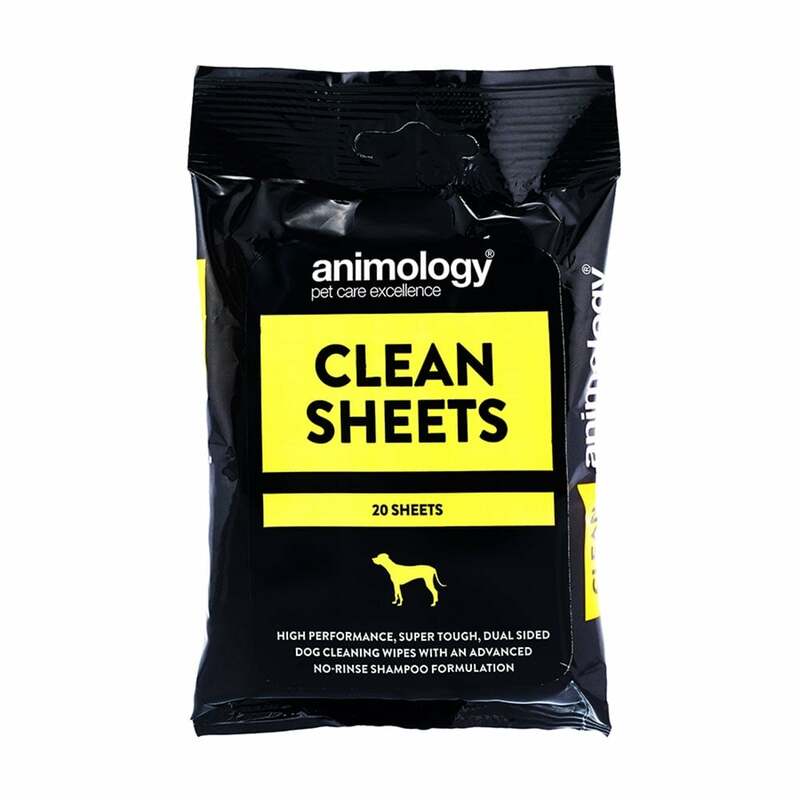 These Animology Clean Sheets Pet Wipes (20 Pack) are a handy, portable pack of super tough, high performance, dual sided wipes great for removing sticky, smelly stuff from your dog's coat. Each of these large pet wipes are approx. 18 x 18.5cm and have a no-rinse shampoo formulation that is strong enough to remove grease and sticky stuff such as tree-sap, as well as reduce odours such as fox poo and dead fish. One side is rough for loosening dirt while the other side is smooth to clean it away. Enriched with vitamin E which is a powerful natural anti-oxidant to protect and strengthen hair and improve the overall condition of your dog's coat. These wipes are perfect when on-the-go and inbetween washes to keep your dog cleaner and fresher.